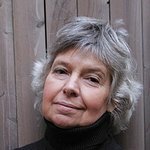 Robin Morgan is a best-selling author, political theorist, activist, journalist and award-winning poet. She hosted her first radio show, The Robin Morgan Show, at age 5; then at age 8 became a television star on the hit CBS series Mama. Leaving show business in her teens, Morgan became a serious writer, publishing so far more than 20 books, including the now classic anthologies: Sisterhood Is Powerful, Sisterhood Is Global, and Sisterhood Is Forever; her best-selling The Demon Lover: The Roots of Terrorism; her recent novel The Burning Time; and her latest nonfiction work, Fighting Words: A Tool Kit for Combating the Religious Right. 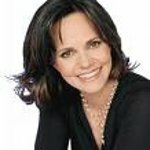 In 2005, she co-founded The Women’s Media Center with Jane Fonda and Gloria Steinem to make women and girls visible and powerful in the media through strategic programs that transform the media landscape, and that include media training, media monitoring and activism, media reports, media programs, an expert database and special initiatives. Google trends for "Robin Morgan"
We don't have any videos related to Robin Morgan.